Move over summer, a new school year is coming. Students and teachers, it’s time to get back into the swing of things. Plan for the busy days ahead using a Mind Map to turn last minute mayhem into blissful efficiency. Read our Mind Mapping tips to help keep your assignments, activities, plans, tests and notes in order and set yourself up for a stress-free school year. Repetitive, parrot-like revision is slow, boring and unnatural. Our brains just weren’t built to process information in this way. Your mind is made up of a huge network of associated thoughts, links and hooks. With branches that radiate outwards from a central idea, Mind Maps mirror and magnify this natural, radiant thought pattern, making them the ultimate revision tool. Start putting in the ground work now and kill it in the exam room later. In every class, take note of the key information using a Mind Map. 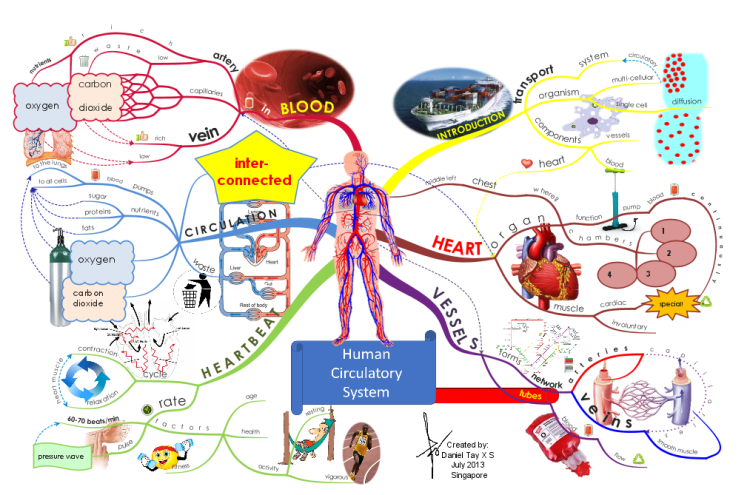 Use the map below, made using Mind Mapping software, iMindMap, as inspiration*. Colour code your branches to categorise different topics and use symbols and images for a potent and memorable way to convey meaning. When you need to capture information quickly, fire ideas down using single keywords. Keywords spark endless associations that are proven to boost your ability to recall information. Mind Maps not only encourage association, they provide an easy way to connect themes and ideas in a clear visual format, so you can understand how a topic fits together. 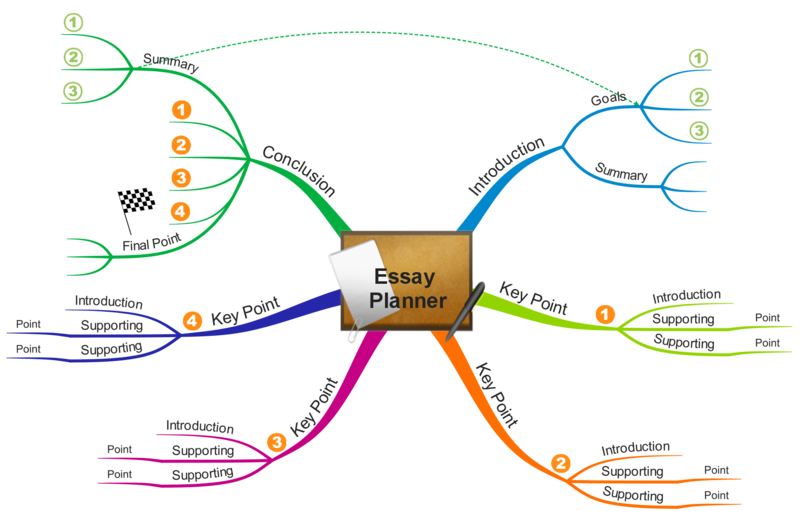 Create Mind Maps for each class and gather them neatly, according to subject. Your future self will thank you when the revision period rolls around. *Image taken from the Biggerplate library. Created by Daniel Tay ©2013. All Rights Reserved. When it comes to exam time, you can refer back to your Mind Maps. They will be organised into clear revision notes that make perfect sense to you. Your maps will jog your memory of each class and save you heaps of time searching through old notes. Entire classes or lectures can be condensed on to one sheet, providing you with an engaging and memorable overview. The use of keywords and colours, together, form a powerful way for you to recall information, so you can snap up those extra marks. 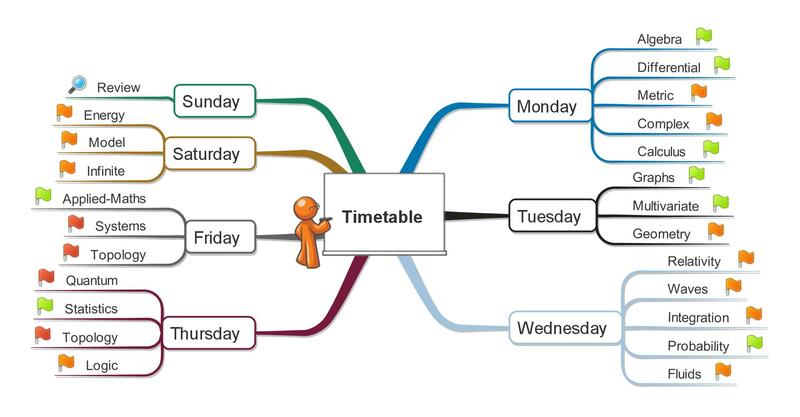 A Mind Map can also be used to create an effective revision timetable, as in the example below. Follow your revision timetable map to balance your time effectively between subjects and topics when revising. A Mind Map provides a great visual overview of your revision plan, detailing exactly what subject you need to revise and when. With your schedule organised, you can concentrate your efforts on absorbing as much knowledge as possible. You can put your revision plan on the wall to refer back to and track your progress. If you need to build on the ideas in your Mind Map at a later date, it’s easy to add in further details without making your map look messy. When writing an essay, don’t stare at a blank sheet with writer’s block, or start writing and end up rambling around the topic. Plan your essay using a Mind Map before you begin putting pen to paper, or finger to keyboard, to help you focus in on the facts and hit the marking criteria. A Mind Map’s unique layout helps you to spot new connections and gain a richer overview of your subject. You can create an infinite number of thoughts, ideas and associations on any topic – fostering creativity and keeping writer’s block at bay. With a pre-structured framework, it’s easy to make a realistic plan for your essay, including a logical introduction, main sections and conclusion. Radiating branches with single keywords trigger associations in your brain that spark new ideas. This allows you to draw out ideas and information surrounding your essay topic to ensure you build a strong argument. Using keywords, Mind Mapping concentrates your mind on the key messages and information that you want to get across, so you’re less likely to go off track. For relevant, organised and better connected ideas, rely on the Mind Mapping technique for first class essays. As a teacher, it’s easy to drown in planning and paperwork. Save precious time and condense classroom lessons, projects and even an entire curriculum on a single sheet using a Mind Map. Your organised maps give you a clear focus for the year ahead, and help you determine the best teaching strategies for you and your class. For the overall curriculum, begin by mapping out the main goals and objectives for the year, and eventually break this down into individual lessons. 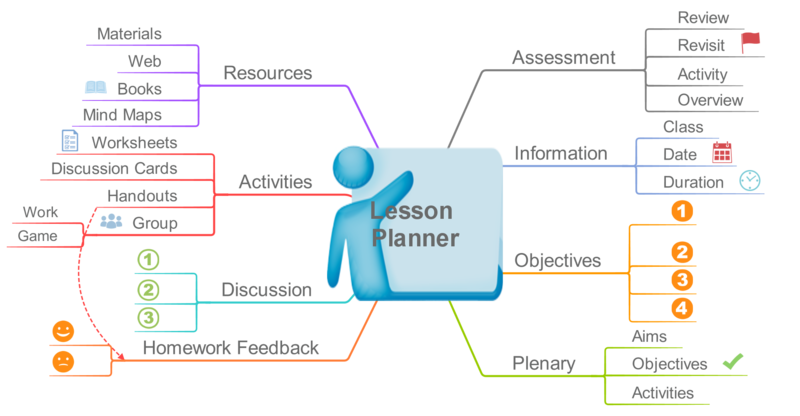 When you come to planning a specific lesson, you can take a lesson from the curriculum plan and build a separate, more detailed Mind Map with a clear goal in mind. You will know exactly what you are expecting from your students at the end of the class and can begin outlining the goals, objectives, tasks and resources required. Plans made using Mind Maps are clear, detailed and simple to follow. With a top-down view, you can easily see all of the requirements, and pick up on any weak points or gaps. A meticulous plan is essential to the success of your students, plus, it’s one less thing for you to worry about when the marking starts to pile up. If something goes wrong or changes in your plan, the radiant nature of your Mind Map allows you to make appropriate changes without looking cluttered. It’s easy to explore and build on your ideas as the year progresses, making your planning process more efficient. As teachers know, dictating to a classroom without student engagement is futile. With your lessons thoroughly planned out, you can concentrate your efforts on delivering classes that encourage curiosity in an environment that fosters learning. That way everyone can leave the school gates in a happy frame of mind. If you want to speed up all of your Mind Mapping activities using a limitless canvas, iMindMap is the perfect tool. You can insert files, videos, documents and web links to your maps for further information at your fingertips. Later in the year, when you’re reflecting on your progress, it’s easy to edit your Mind Maps and share or send them using iMindMap’s integrations with the most up to date web tools. Use iMindMap to swing into the new school year with a clear focus and an A* for organisation.